The SF Encyclopedia makes no real comment on the works of Dennis Feltham Jones, preferring instead to précis his novels. He is perhaps best known for his first novel, Colossus, which was filmed as Colossus – The Forbin Project. 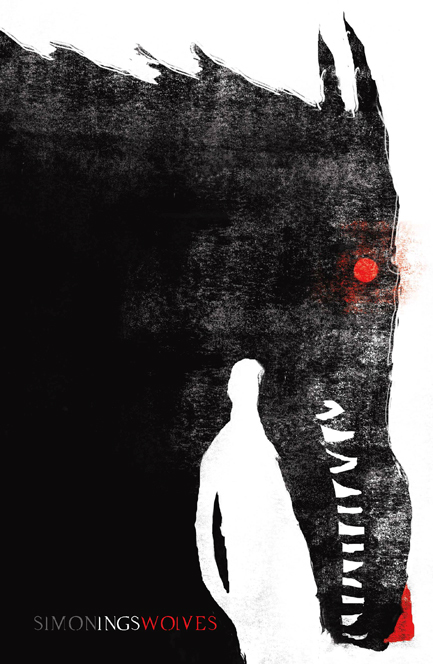 Implosion, from 1967, is his second novel. An unnamed Eastern Bloc country develops a substance which renders women sterile. Because the nation’s premier is the illegitimate son of a British diplomat, he chooses to use this powder on the UK. Two years later, fully eighty percent of British females can no longer ovulate. The country’s population begins to fall, and is calculated to hit around five million by the mid-1980s. A government with far-reaching powers and a mandate to fix the problem is voted into power. All the fertile women are put into camps to become baby machines. Children are put in National Schools, where they are kept safe from harm and educated to as high a level as possible. Villages are demolished, and towns abandoned, when their populations fall below sustainable levels. In charge of all this is John Bart, the Minister for Health and Regeneration. His wife Julia proves to be one of the rare fertile women, and is packed off to a camp. Meanwhile, the government tightens its grip on the country. After a raid on the lab which developed the powder, the Brits reverse-engineer it but can find no cure. They publish the formula, so that now everyone has it. Naturally, other countries soon find themselves in the same situation. There’s a very 1960s British po-faced earnestness to Implosion. The characters are exemplary – Bart himself is young and noble and brilliant at organisation and making decisions. His wife is beautiful and loving and a true soulmate. Or at least, she starts out like that. Even their lady who does is a treasure. The prime minister is a hearty man of the people, straight-talking and more than willing to do the necessary. The Britain of the story appears pretty much the same as the Britain of 1967. Even though it begins in the early 1970s, the currency is still pounds, shilling and pence. So, not a British sf masterwork, then. 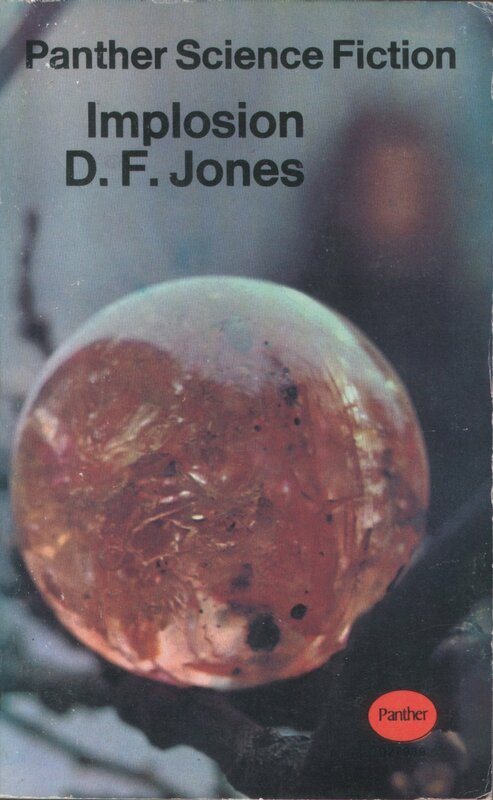 Categories: book review, british, british sf masterwork, science fiction, sf jones | Tags: book review, british sf masterworks, df jones, implosion, science fiction | Permalink. I’ve been a fan of Evans’ novels since reviewing his Aztec Century for Vector, the critical journal of the BSFA, back in 1993. His fiction is a literate, very British sort of sf, which doesn’t rely on flashy spectacle but on in-depth studies of their protagonists and their worlds. 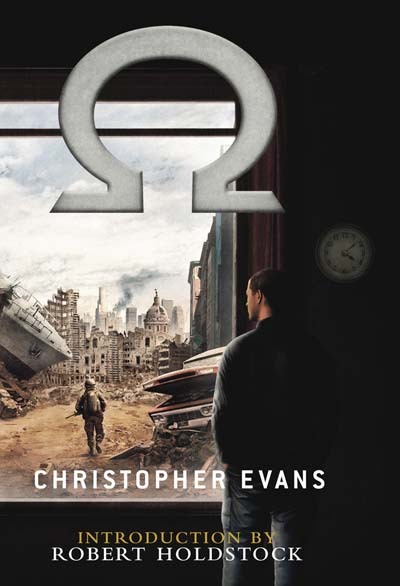 Omega, published in 2008 by PS Publishing and Evans’ first novel in more than a decade, is a case in point. Owen Meredith is a maker of military history documentaries. One day while Christmas shopping with his wife and two daughters, a bomb explodes in Hamley’s. Meredith is outside and only injured in the blast, but his family are in the store and killed. Major Owain Maredudd is an officer in an Allied army in a Britain that has been at war for over half a century. He had led a mission into enemy territory to test a new weapon, but something went wrong. Maredudd was the only survivor, and his memories of the mission are somewhat confused. As a result, he has been attached to his uncle’s staff. His uncle is the commander-in-chief of the allied forces in the UK and a member of the Joint Governing Council, the military junta that rules the Alliance. He is, in effect, the ruler of most of Europe. When Meredith wakes in hospital after the bomb blast, he discovers first that at times he somehow inhabits Maredudd’s head, and so witnesses events in the major’s world. And secondly, Meredith’s memories of his life before the explosion don’t quite tally with the life he seems to now have. For a start, he is apparently in hospital because he was hit by a car while crossing the road. There was no bomb blast. And his wife left him several years before, taking the kids, and now lives in Australia. As Meredith tries to figure out his life and pick up the pieces, so he comes to spend more time in Maredudd’s world. Maredudd himself is having his own problems as there seems to be something going on with his uncle to which he’s not privy but in which he is somehow involved. This is all to do with the secret weapon after which the book is titled. The Americans, once part of the Alliance, are apparently getting troublesome and the Omega weapon is intended to stop them. Omega is not an easy book to do justice to. 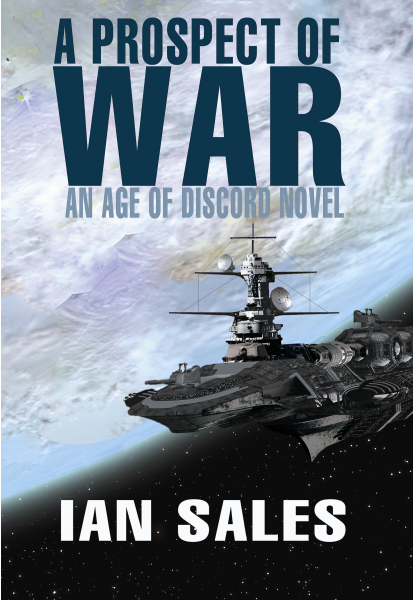 It’s an alternate history, inasmuch as part of the story is set in a world still embroiled in a world war. But it’s also much more than that. It’s a study of both Meredith and Maredudd, and their reactions to worlds they find it increasingly hard to fathom. While Meredith also has Maredudd’s world to explore, it’s implied that Maredudd is doing the same to Meredith. Certainly, there are periods when Meredith is strangely absent – though from others’ reactions it seems he continues to function as “normal”. 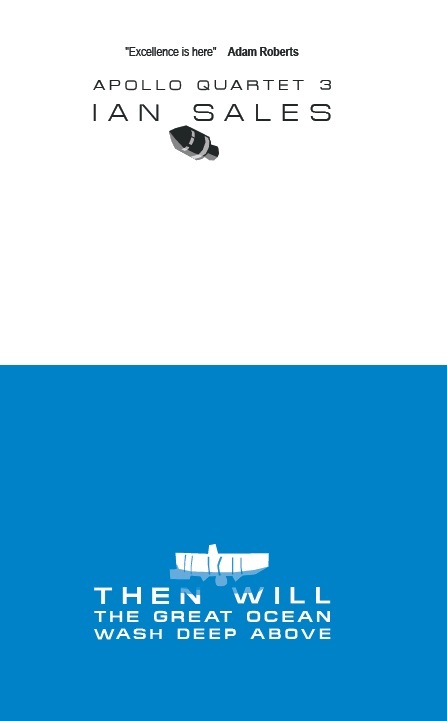 The alternate UK is extremely well-drawn and very convincing, but it is the two protagonists who really carry the book. The writing is plain but elegant, the worlds of Meredith and Maredudd are portrayed with authority, and the novel is an engaging and surprisingly quick read. I’m surprised Omega didn’t appear on any short-lists back in 2009. 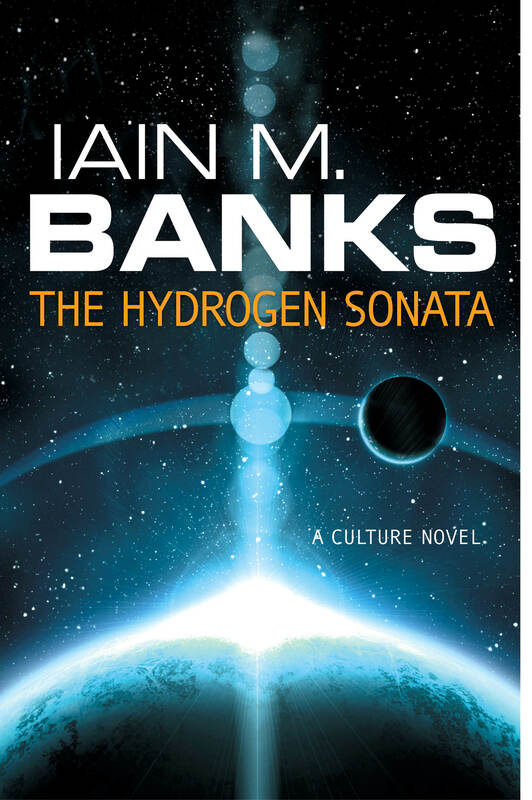 It’s certainly a better novel than the four that made it onto that year’s BSFA short-list – Aztec Century, incidentally, won the BSFA Award in 1994 – and it could have been a contender for the Clarke too. Recommended. Categories: book review, books you must read, british, christopher evans, science fiction | Permalink. I had this really good idea for a post, a sort of companion piece to my British sf Masterworks. Films… Science fiction films… British science fiction films. How about a list of the best twenty-five sf films from the UK? Everyone likes lists. Except… I couldn’t find twenty-five good British sf films – either that I’d seen or that I’d would be willing to hold up as good cinema. So I picked twenty. And, to be honest, there are a few on the list that stretch the definition of “good” somewhat. There are also a few that do the same with “British”… Kubrick was American, as are Gilliam and Hyams; and Truffaut is French. And some of the films were made with US money, requiring US actors in the starring roles – but they were British productions, so they count for this list. 1 – Things To Come , dir. William Cameron Menzies (1936) – there’s not much you can say about this. It’s an astonishing piece of cinema, especially given when it was made. 2 – The Quatermass Xperiment , dir. Val Guest (1955) – Quatermass had a powerful impact on British sf, so one of the three films featuring him deserves to make this list. 3 – The Day The Earth Caught Fire , dir. 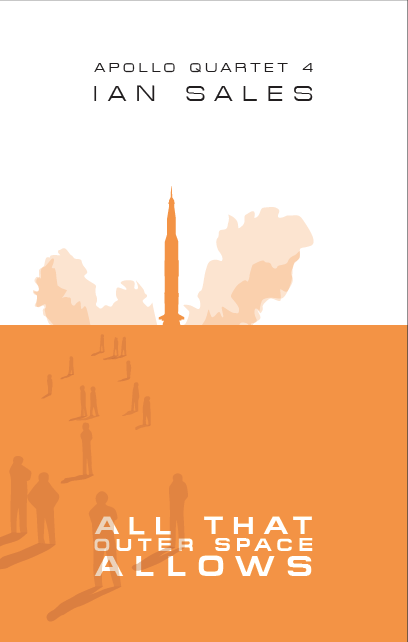 Val Guest (1961) – not only a disaster film, caused by testing nuclear weapons, but also a post-apocalypse film. The shots of empty cities remain creepy even today. 4 – First Men In The Moon , dir. Nathan H Juran (1964) – the recent Gatiss adaptation on BBC4 was entertaining, but there’s a bonkers charm to Lionel Jeffries’ portrayal of Professor Cavor. 5 – Daleks Invasion Earth 2150AD , dir. Gordon Flemyng (1966) – back when Daleks were cool, they drilled a hole to the centre of the Earth so they could replace it with an engine and turn the whole planet into a spaceship. And they did it in Britain. Until Bernard Cribbins stopped them. With a bit of help from Dr Who. 6 – Fahrenheit 451 , dir. François Truffaut (1966). The book is rubbish, but the film is excellent. Casting Julie Christie in two roles was inspired. And the monorail is really cool too. 7 – Frozen Alive , dir. Bernard Knowles (1966) – an Anglo-German production, set in Germany, in which a scientist, well, he freezes himself. But his wife is murdered while he is frozen, and he’s the chief suspect. It sounds daft, but it works. 8 – They Came From Beyond Space , dir. Freddie Francis (1967) – and the plot of this one seems even dafter: meteorites land throughout the UK and take over people, who subsequently build an armed camp in southern England. This is so they can send rockets to the Moon, launched from underneath a lake, to help repair the alien spaceship marooned there. 9 – A Clockwork Orange , dir. Stanley Kubrick (1968) – Kubrick may have been an American but this film was as British as you can get – from Anthony Burgess’s source novel through to the cast and crew. 10 – Journey To The Far Side Of The Sun , dir. Robert Parrish (1969) – Gerry Anderson’s only live-action feature film, although some of the cast were as wooden as his puppets. The central conceit – a copy of the Earth on the other side of the Sun, where everything is reversed – is complete nonsense, but all those Meddings model shots make up for it. 11 – 2001: A Space Odyssey , dir. Stanley Kubrick (1971) – Kubrick gets two films on this list because A Clockwork Orange is too British to leave off, and 2001: A Space Odyssey is too damn good to ignore. 12 – The Man Who Fell To Earth , dir. Nicolas Roeg (1976) – Bowie was perfectly cast. Any film that can say that deserves to be on this list. 13 – Flash Gordon , dir. Mike Hodges (1980) – it’s like a panto. In space. With Brian Blessed. Three reasons why it belongs on this list. 14 – Outland , dir. Peter Hyams (1981) – there’s not much that’s British about High Noon set on a moon of Jupiter (although without Grace Kelly). This was actually a British production, however. 15 – 1984 , dir. Michael Radford (1984) – qualifies in the same way A Clockwork Orange does. 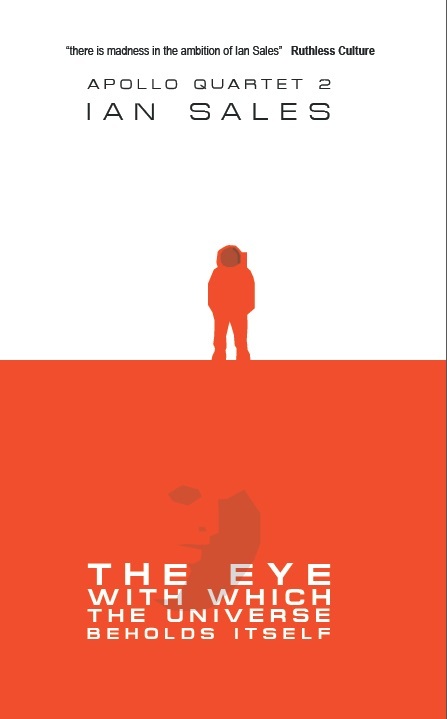 It’s also an excellent adaptation of Orwell’s novel. 16 – Brazil , dir. Terry Gilliam (1985) – could be 1984 from an alternate Britain. It’s as British as Orwell’s novel, but… funny. Absurd, in fact. Which is the only other sane response to Nineteen Eighty-four. 17 – Sliding Doors , dir. Peter Hewitt (1997) – it’s about the Many Worlds Hypothesis… Well, sort of. It’s a romance, a fluffy version of Kieslowski’s Blind Chance , in which catching a train or not causes the story to split into two separate narratives. 18 – 28 Days Later , dir. Danny Boyle (2002) – zombies that can run. Enough said. 19 – Code 46 , dir. Michael Winterbottom (2003) – is one of those films which seems to inhabit a near-future which already exists. It also asks some difficult questions about biotechnology. 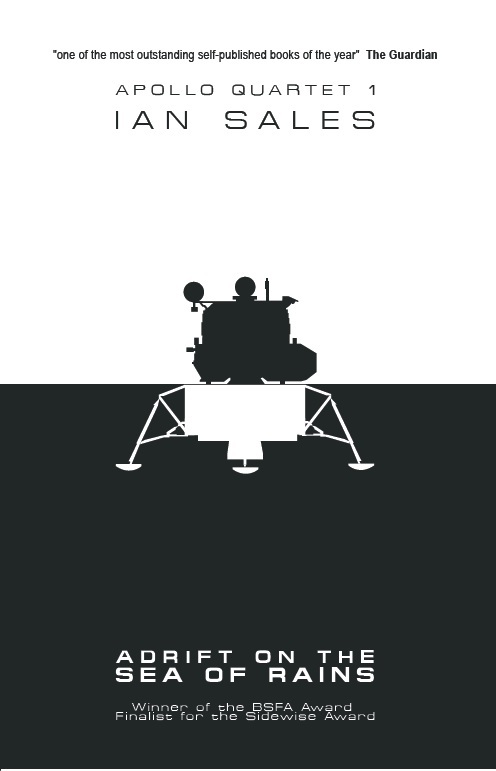 20 – Moon , dir. Duncan Jones (2009) – I wrote about this here. So, what films have I missed off? Categories: british, film list, films, science fiction | Permalink. 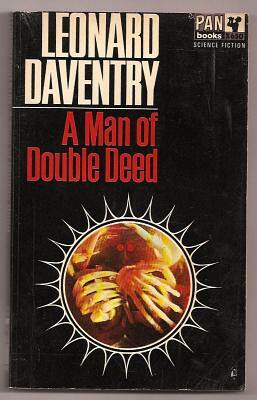 Among the books recommended to me by others for inclusion on my list of British sf masterworks (see here) was A Man of Double Deed , Leonard Daventry’s debut novel, and the first book of the Keyman trilogy. Daventry is forgotten now. He wrote seven science fiction novels between 1965 and 1980 – the last one somewhat ironically titled You Must Remember Us…? – but his books are neither in print nor especially easy to find. Which is a shame, as there are worse authors from that period still in print, whose deathless prose continues to clog the bookshelves of Waterstone’s and other book shops. The title character of A Man of Double Deed is Claus Coman. He is a keyman. This means he is a telepath, and one of a handful of such people, who operate something like secret agents and something like Special Branch, on an Earth a century after an all-out nuclear war, the “Atomic Disaster of 1990”. Coman is something of a throwback – he lives in a house in Old Peckham, not in a giant apartment block, and he smokes like a chimney, even though the habit is illegal. He is also, we are told on the first page, “old-fashioned in other ways also, being content with two women only”. These two women are Jonl and Sein, and Coman is bonded to them – again, something considered old-fashioned and slightly dubious. 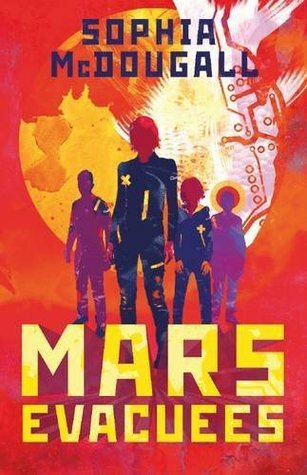 Coman returns to Earth after adventures on Venus – several of his previous escapades are mentioned in the novel – to find something strange going on. The youth of 2090 have taken to murder and suicide. It’s almost an epidemic. The only solution the World Council can conceive is a “War Section”. This is an area, preferably on another planet, in which the murderous teenagers and young adults can be left to their own violent devices. The Council is meeting shortly to consider implementing such a War Section, but the leader of the Council, Marst, is being influenced to vote against the proposal by a conspiracy. Coman’s boss, Karns, asks him to travel to the Fifteenth City, a holiday destination built above a line of islands in the Pacific, to persuade Marst to change his vote. Marst is apparently under the influence of a pair of “jokers”, telepaths who oppose the keymen but fortunately possess much weaker abilities. Coman and his two wives travel from the Twelfth City (London) to the Fifteenth City. Shortly after their arrival, while at a swimming-pool, Coman identifies one of the jokers, a woman called Linnel. He seduces her – Jonl and Sein are not happy about it, but they trust him. With Linnel’s help, Coman manages to prevent the conspiracy. The plot summary above probably doesn’t quite illustrate how odd this novel is. Superficially, it resembles an ordinary piece of science fiction tosh from the 1950s or 1960s, with a superman hero, a supporting bevy of beautiful subservient women, and a future Earth which in no way resembles the Earth of the time of writing but still feels horribly dated. But that would be doing A Man of Double Deed a disservice. It’s a much better book than that. Coman is such a strange hero, for one thing. He is a dour intellectual, but not a misanthrope. He is not a man of action, but is often called upon to behave like one. There’s something of the World War II RAF officer in him, a combination of education, arrogance, pragmatism, and a grudging respect for others. He is his own biggest critic, but extremely private with his criticisms. He is very British. Nor are the women of the story, Jonl, Sein and Linnel, characterless females. On the contrary, Jonl could become a keyman herself, but does not wish to do so on principle. Sein is more stereotypical a female character. She loves Coman, and longs for a baby. She gets her wish in the end, and it’s a result all are happy with. Linnel is a femme fatale, but an insecure one who falls for Coman’s singular charms, but refuses to bend entirely to his will. These three are not, I hasten to add, brilliantly-drawn female characters, or even especially realistically-drawn ones, but they are a good deal better-realised than is common for genre fiction of the time. A Man of Double Deed is a novel in which principles play a large part. At several points in the story, Coman, Karns, Marst, or Coman’s cyborg friend Deenan talk about moral and legal principles, and these are well-written and well-argued pieces of dialogue. They are not the usual political or moralistic crap you’d find in most genre novels, and which doesn’t stand up to scrutiny, this is solid, well-presented, intelligent argument. It makes for a refreshing change. 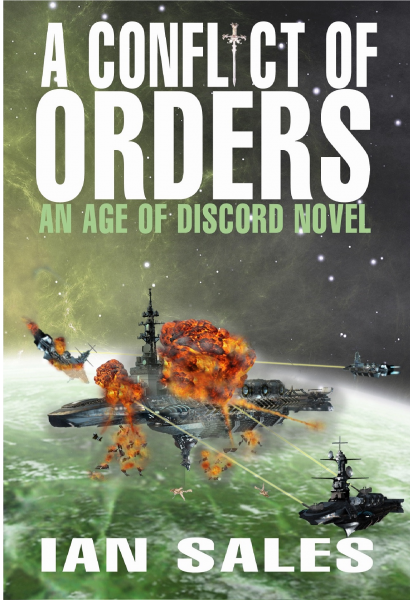 Perhaps the invention on display in the novel is not especially high, but the writing is solid, and even occasionally good, the characters are drawn well, and the plot comes to a satisfactory end… even if not everything is explained. What, for example, was the conspiracy which had hired the two jokers? Why did they not want a War Section? Nevertheless, A Man of Double Deed is an interesting sf novel and doesn’t deserve to be forgotten. In fact, I think I’ll hunt down the other two books in the trilogy, Reflections in a Mirage and The Ticking is in Your Head , and read them. Categories: book review, british, british sf masterwork, leonard daventry, science fiction | Permalink. After all the comments on my list of 50 British science fiction masterworks, I decided to revisit it. There were several authors I’d inadvertently left off – and no, I’ve no idea how I managed to miss Paul J McAuley (sorry); but he’s on there now. There were also a couple of books I listed which, on reflection, were either too peripheral to the genre, or not really masterworks. The Durrell stays on, however, because a) he’s my favourite writer, and b) it features a number of sf tropes. Brian W Aldiss claims in Trillion Year Spree that Mary Shelley’s Frankenstein is the first science fiction novel, but I prefer to date the genre to the appearance of Amazing Stories in 1926. So Shelley goes. But it would be criminal to produce a list of British sf masterworks without including one by HG Wells, whose “scientific romances” were certainly an ancestor of sf (and many were reprinted in Amazing Stories, anyway). I’ve also changed Lessing’s entry from The Memoirs of a Survivor to the Canopus in Argos: Archives quintet, as each of the five books in it are more substantial than my original choice. I’ve added Christopher Evans, Geoff Ryman, Ted Tubb, Mark Adlard, Eric Frank Russell, James White, Colin Kapp and Douglas Adams (bowing to public pressure there). Some of the books may not be masterworks per se – the Kapp series, for example, is more notable for its eponymous Big Dumb Object than it is its prose, characterisation or plot. Tubb, of course, was best known for his 33-book Dumarest series, but I’ve seen several positive mentions of The Space-Born , a generation starship story. James White probably wrote better books than the one I’ve chosen, but it’s the only one of his Sector General novels to appear on a any kind of shortlist – the Locus SF Novel Award for 1988 (which was, admittedly, a shortlist of thirty-three…). So I have made some changes. And somehow the list has grown to fifty-five books. 7 – No Man Friday , Rex Gordon (1956) – my review here. 23 – The Continuous Katherine Mortenhoe , DG Compton (1973) – my review here. 24 – Rendezvous with Rama, Arthur C Clarke (1973) – my review here. 28 – Hello Summer, Goodbye , Michael G Coney (1975) – my review here. 31 – The White Bird of Kinship [The Road to Corlay , A Dream of Kinship , A Tapestry of Time ], Richard Cowper (1978 – 1982) – my review here. 35 – Where Time Winds Blow , Robert Holdstock (1981) – my review here. 45 – Kairos , Gwyneth Jones (1988) – my review here. 49 – Take Back Plenty , Colin Greenland (1990) – my review here. So that’s the new list. I still intend to read and review some of the more obscure books – and have already done the Rex Gordon (see here). 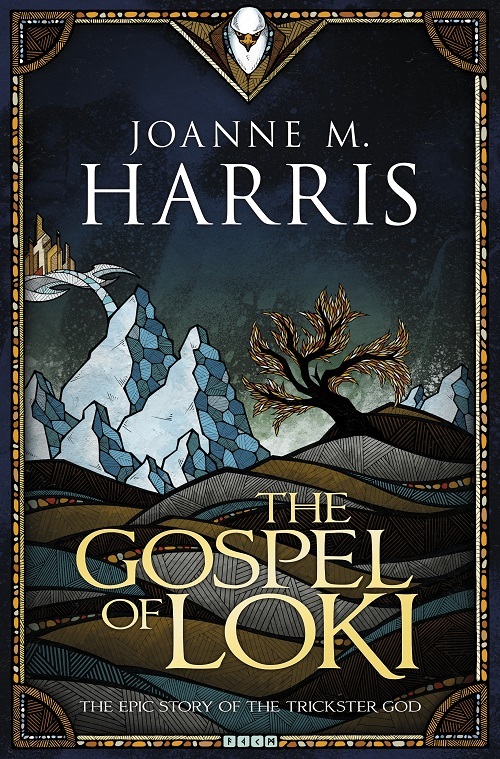 Those books I’ve written about on this blog now have links beside them – some are full-blown reviews, some are just a paragraph or two in one of my Readings & Watchings catch-up posts. 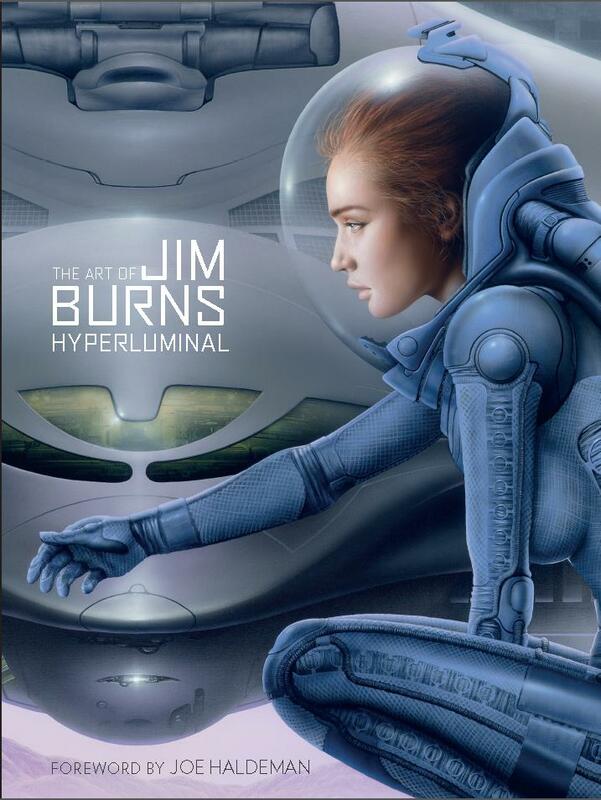 Categories: book list, books, british, british sf masterwork, science fiction | Permalink.